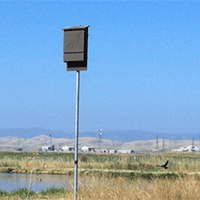 What are artificial habitat structures and why are they important? 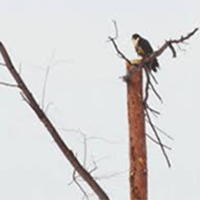 Mimic features found in mature habitats such as large diameter trees or standing snags that may not be available in new restoration sites, young forests, or new forest plantations. 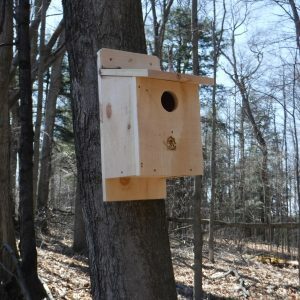 Provide specialized habitat that may be hard to come by in nature such as rock crevices and structures for hibernating animals like bats and snakes. 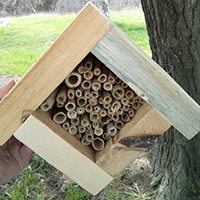 When installed properly and maintained regularly, habitat structures serve as a safe place for wildlife to raise young and can offer a glimpse into what is happening in your own back yard. 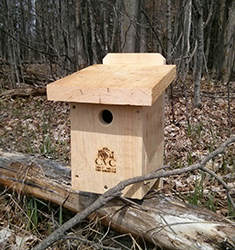 CVC is pleased to offer a wide selection of boxes including those for solitary native bees, bats, songbirds, raptors, owls, and waterfowl. 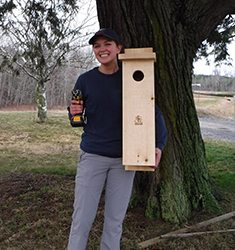 We can also design and construct larger habitat projects such as raptor poles, barn swallow nesting structures, and snake hibernacula. Interested and want to know how to begin?